This analysis published in the journal Energy Economics examines how changes in market trends and technology costs are likely to affect electricity generation in the United States in the context of possible future carbon taxes. The industry today is at a crossroads as older coal-fired plants retire and as nuclear plants begin to reach the end of their originally planned lives. At the same time, new and improved technologies for wind and solar generation are reshaping the industry, alongside dramatic increases in natural gas generation as the result of the shale-gas revolution. How these forces interact will depend on the specific paths that technologies for renewables and shale gas production take over the next couple of decades. 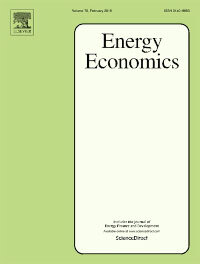 This analysis uses the Dynamic Integrated Economy/Energy/Emissions Model (DIEM) electricity-sector model to examine a wide range of sensitivity cases for technology and fuel costs under different economic conditions. Model results focus on the level of renewable penetration, natural gas generation and emissions, and what all of these factors may mean for carbon dioxide emissions in the industry. The model finds that carbon taxes can be an effective way to quickly lower emissions. Shifts among natural gas and renewable generation can vary significantly, depending on capital and operating costs.